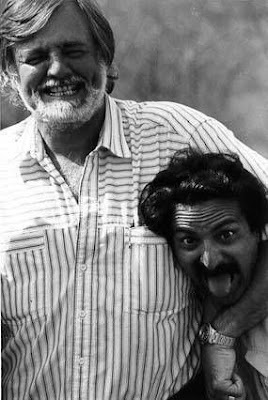 Pittsburgh Underground: Annoucement: George A. Romero R.I.P. Annoucement: George A. Romero R.I.P. 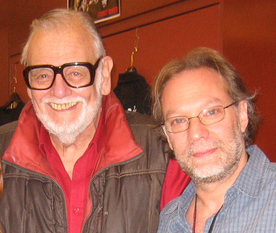 It’s with a heavy heart that we say goodbye to another Pittsburgh legend - George A. Romero, the godfather and creator of the zombie genre has passed away at 77. Romero passed away peacefully in his sleep on Sunday while listening to the score of one of his all time favorite films, The Quiet Man. Mr. Romero, who had been battling lung cancer leaves behind his wife, Susan Desrocher Romero and daughter Tina. Born George Andrew Romero in the Bronx, New York City on Feb. 4, 1940 to a Cuban father and a Lithuania American mother, Romero launched his filmmaking career in the early 1960s, shortly after graduation from the College of Fine Arts at Carnegie Mellon University. 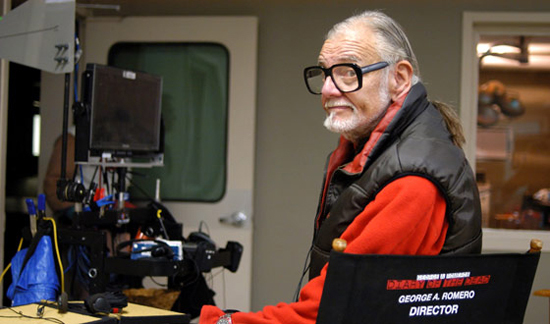 Romero was a pioneer in the zombie-horror movie genre and early established a name for himself with such films as the satirical Night of the Living Dead, which spawned Dawn of the Dead, and Day of the Dead. He defined the modern template for bringing the scary, gruesome and dead to life on screen, inspiring a myriad of zombies in Hollywood and the more recent high-rated AMC series, The Walking Dead. Nicotero worked as an assistant to special effects legend Tom Savini on Romero’s 1985 film Day of the Dead as well as appearing in the film and was makeup effects supervisor on 2005’s Land of the Dead. 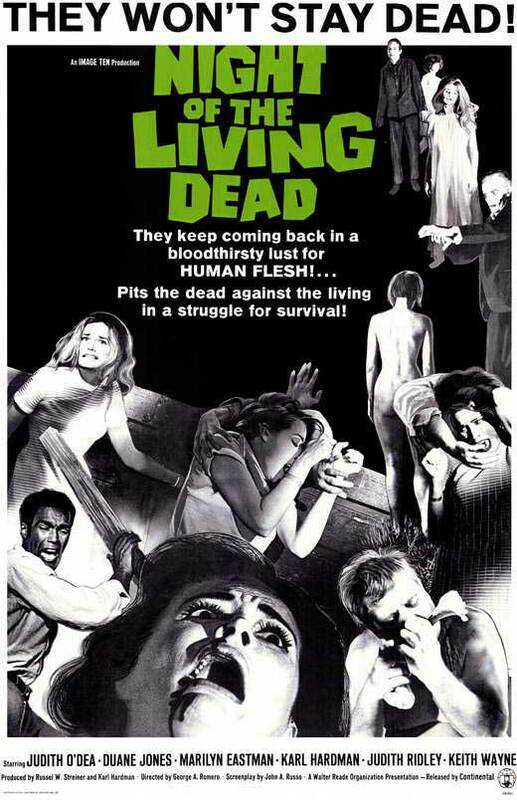 Back in 1968, Romero created the cult classic Night of the Living Dead on a budget of $100,000 that became the template for the zombie genre. The Associated Press described the feature as, "flesh-hungry ghouls trying to feast on humans holed up in a Pennsylvania house." The film was inducted into the National Registry of Films by the Library of Congress in 1999 and a remake was produced in 1990 by Romero and directed by famed prosthetics Pittsburgh artist Tom Savini. More sequels followed from Dawn of the Dead in 1978, which has become sort of a time capsule for those of us living near Monroeville Mall back in the 70’s that became an allegory for the ever rampant ‘consumerism’ that would overwhelm our country in the coming years. Dawn of the Dead also spawned a remake in 2004 by director Zack Snyder of Batman v Superman fame, introducing the world to the infamous ‘fast moving zombie’. Day of the Dead followed in 1985 starring Lori Cardille, daughter of famed Pittsburgh horror host, Chilly Billy Cardille, as one of the few remaining survivors living her days out in an army bunker while both studying the zombie outbreak and fighting it out with the military personnel trapped below ground that are sworn to protect her and her fellow scientists. Fast forward twenty years later to 2005 for the next followup to the series as Land of the Dead is released centering on a zombie infested Pittsburgh with Point State Park as it’s only safe haven governed by none other than Dennis Hopper. Two years later George Romero would come full circle with the franchise as Diary of the Dead is released in 2007 with a story that takes us back to the very beginning of the zombie outbreak looking through the eyes of a group of Pitt film students as they document their journey to reconnect with family and a safe haven to wait out the disaster. The last entry to the series in 2009 was a stand alone story within the Night of the Living Dead universe entitled Survival of the Dead that took place on a small island of the coast of North America between two feuding families as they grappled with the implications of the living dead. George Romeo’s wasn’t just the father of the zombie genre that he is most well known for. He directed other fun stories such as Martin (1978) - the story of a Pittsburgh teen who believes he’s a vampire. The Crazies (1973) about a military virus that turns the fair citizens of Evans City, PA into psychotic killers (Romero also executive produced the remake in 2010). He collaborated with famed horror director Dario Argento on Two Evil Eyes (1990). He also collaborated with authors Michael Stewart for Monkey Shines (1988) and Stephen King for one of our favorites horror anthologies of all time - Creepshow (1982) and then collaborated again on The Dark Half (1993). Time moved on and so did George. He struggled later on in life to get movies made. When asked about those struggles he was quoted “Listen. 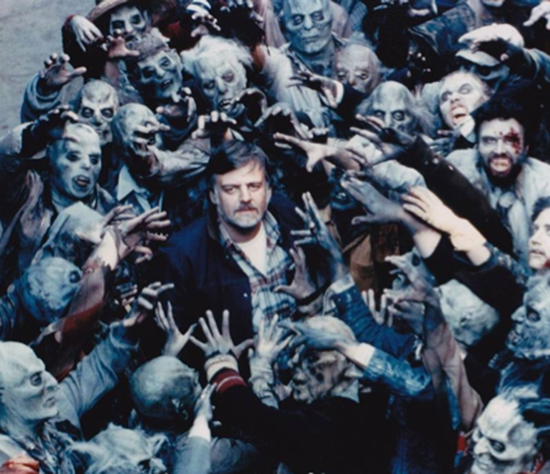 I did “Land of the Dead,” which was the biggest zombie film I had ever made. I don’t think it needed to be that big. That money went largely to the cast. They were great, but I don’t think that money needed to be spent. Dennis Hopper’s cigar budget cost more than the entire production of Night of the Living Dead. That’s the way it is."